at St Swithun’s Church on Hither Green Lane. Local children and choirs performing- it’s always a great start to the Christmas season! HG Festival- Final Weekend Events! The fun starts in a few minutes with the Catford Park Run! Next FREE Football skills workshops with the Sports Fun 4 All coaches. & a Family Bike Ride to Beckenham Place Park. This evening: World class music with Joanne Chen & Friends, all international musicians at St Swithuns – tkts OTD. 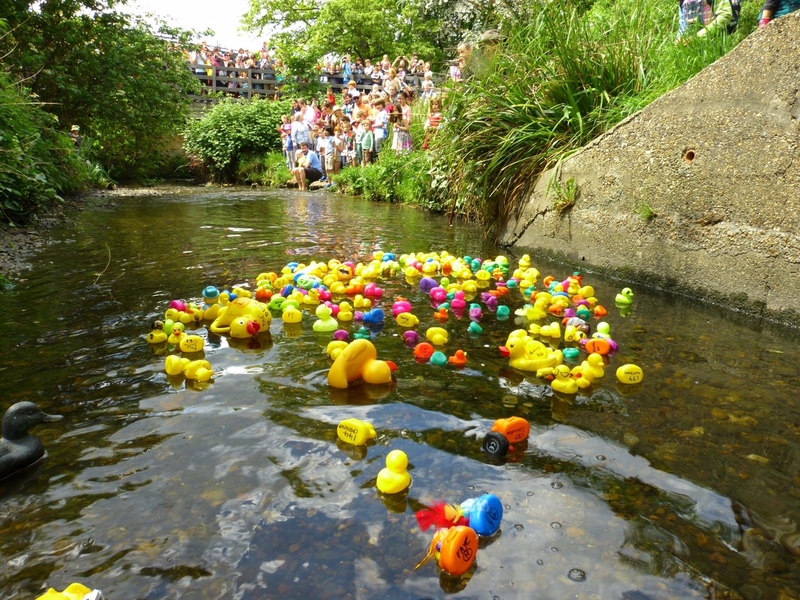 It’s the 4th @QWAG #QuaggyDuckRace in Manor Park ? Will YOUR duck be victorious? On the Day registrations accepted. The Slow Sunday Concert has been cancelled. Apologies. Heart-warming Christmas Films for Hither Green! SUNDAY 6th DECEMBER: CHRISTMAS FILM DAY!! Tickets will also be sold on the door if any remain.To avoid disappointment you are encouraged to buy your tickets in advance! Everyone is welcome to bring their own cushions to increase the comfort of the hall chairs, though The Arts Society has recently invested in cushions! NB: Adults go free if accompanying children, otherwise a ticket is required. The 1947 Christmas classic “Miracle on 34th Street” in partnership with the Hither Green Wine Club. Your £10 ticket includes 3 samples of seasonal wines especially selected by the Hither Green Wine Club, & 2 mince pies. Popcorn, extra food & drink will be available at the bar. Children’s Table Sale this Saturday! Great stalls, great music… there will be dancing courtesy of the Haven’t Stopped Dancing Yet team. Plus fun and games all day, a raffle and lots of food. There is so much happening in Lee, come along and meet the people making SE12 a fine place to live! Fingers crossed for the weather! 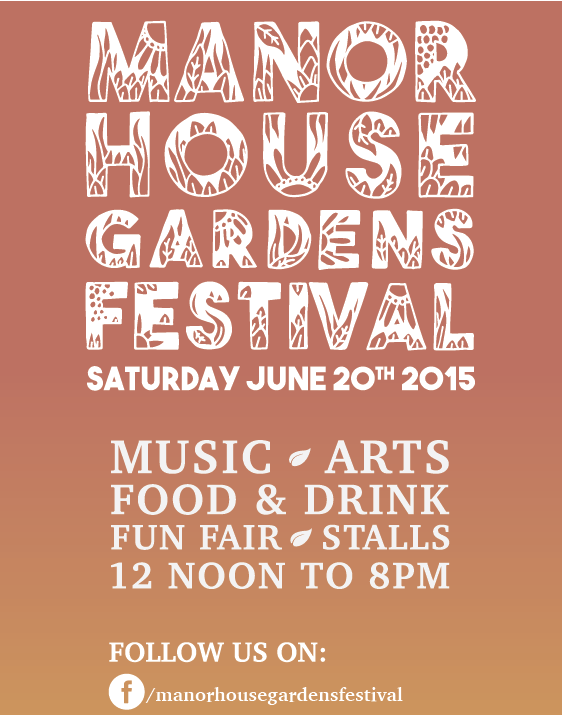 It’s Hither Green Festival Time! The Hither Green Community Group have organised some stellar food, music and history events, plus activities for children and families. Click the events listed below for more information and to book tickets. 12:00 pm – 5:00 pm World Food, Arts and Crafts Fair! 11:00 am – 1:00 pm Plant and Seed Swap! 2:00 pm – 5:00 pm Teddy Bear’s Picnic! 7:00 pm – 10:00 pm The Great Festival Quiz Night! 7:30 pm – 10:00 pm Classics by Candlelight- Music & Dinner! Lewisham Mandarin Club is hosting a community Chinese New Year celebration in Hither Green. 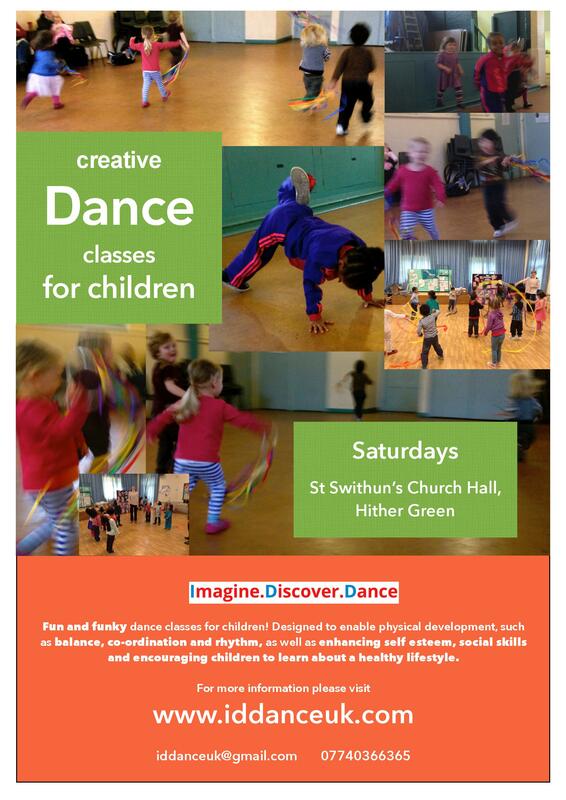 Location: St. Swithun’s Church Hall, St. Swithun’s Road SE13 6QE. Local mums Cindy Kwek and Nicole Newton-Williams met at a local playgroup three years ago. 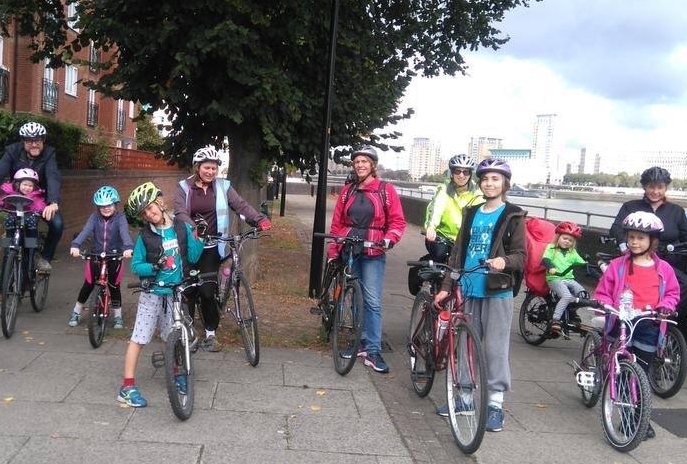 Nicole asked Cindy if she would teach her children Mandarin and what started in a living room is now a growing after-school club at St. Swithun’s Church Hall in Hither Green. Working with teachers from Goldsmith’s Confucius Institute they offer a varied and enjoyable curriculum for young students. Join the dancers and teachers from Goldsmith’s Confucius Institute who have been invited to perform and teach. Come and jot your wish down for our wishing tree, write some characters and make a lantern! There should be something for everyone at our event! Sign your kids up for a Children’s Charity Swimathon- 25 January, 2015! 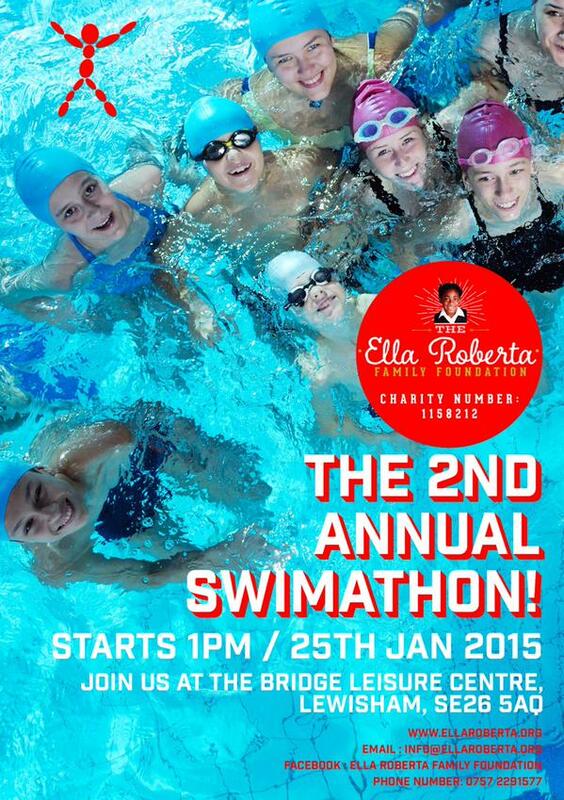 Sign up your children to take part in the 2nd annual Swimathon, a really fun event in aid of the Ella Roberta Family Foundation. Local school children and families will be joining Saxon Crown Swimming Club to swim lengths at the Kangley Bridge pool. 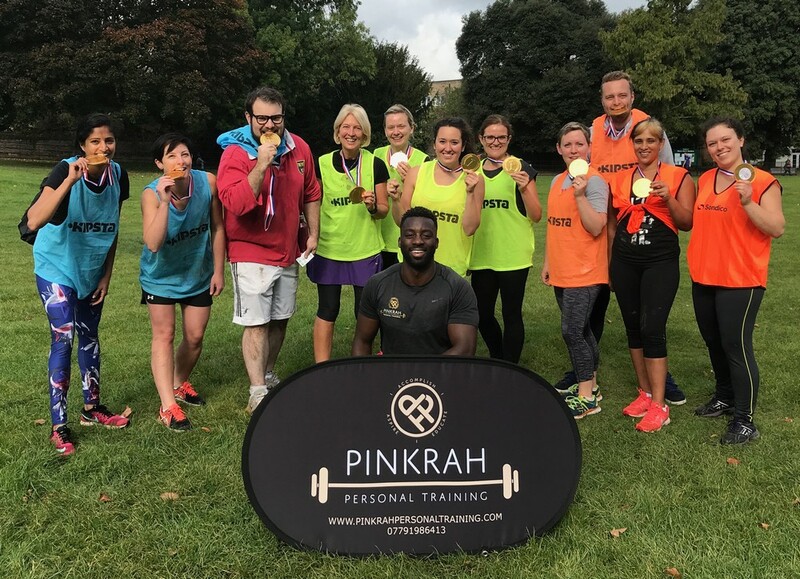 Lots of fun will be had while raising money for the Ella Roberta Foundation, a Lewisham charity promoting swimming as an activity to help young people living with asthma and breathing difficulties. The charity was set up in memory of Ella, a little girl from Hither Green who loved school and swimming and who sadly died from severe asthma last year. All money raised will go to support children and families to better manage their asthma. This event takes place the day after what would have been Ella’s birthday. Saturday morning dance classes for run until 8th March and then will start again after Easter..